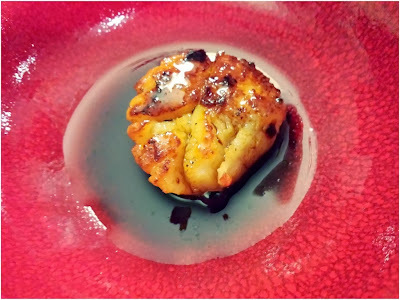 My husband thought he didn't like sea scallops. Crazy, right? I think in the past he must have tried them somewhere that they weren't cooked right. They were possibly overdone or underdone, and the texture wasn't right for his taste buds. But then he noticed me cooking these one day in a mixture of butter and garlic - infused olive oil. He told me several times that they smelled so good. I was making the scallops to try them in this new concoction that I'd discovered from Strippagio, a shop at The Promenade at Chenal. I found myself in there one day, checking in to see what their marketing plans were. The talk with the GM went from marketing to trying out a few of their samples to get to know what they're about. He gave me a sample of the above 3 things mixed together. I was amazed. So you see they came home with me - these 3 little bottles of amazing flavor. 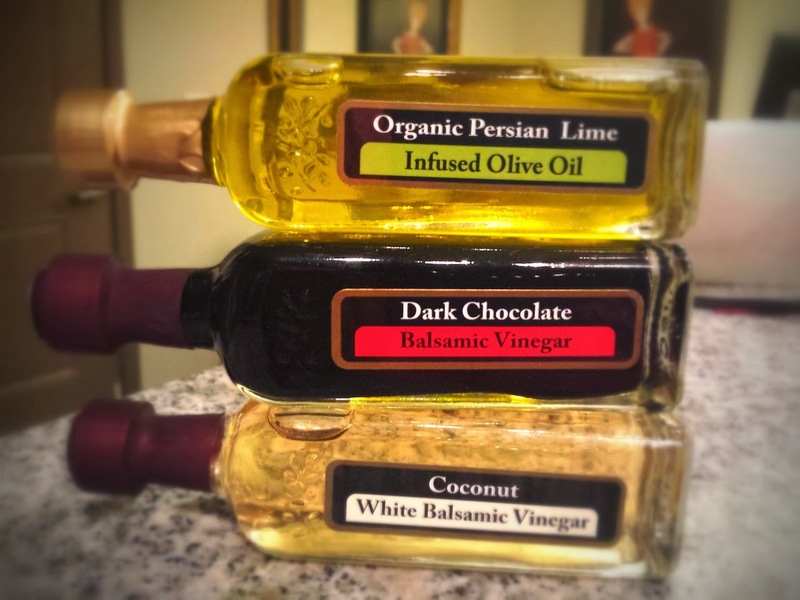 Did you know that balsamic vinegar is also an appetite suppressor? I meant to pick up a bag of mixed greens or spinach to make a salad of this. It was just as good just dipped in the sauce without the greens. 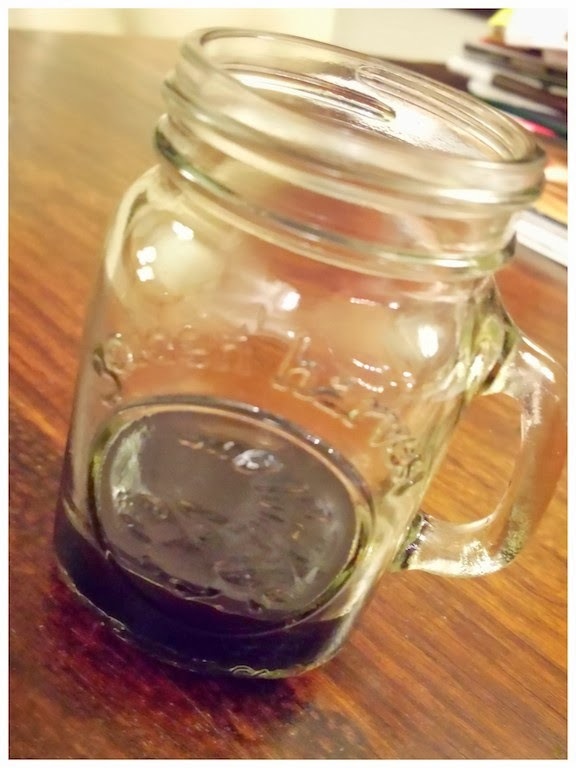 I found a baby mason jar with a lid that I could use to mix the 3 ingredients, then with a quick whisk or a little shake, and the dressing is ready. I love simple. You can also half the ingredients like I did for a smaller portion! 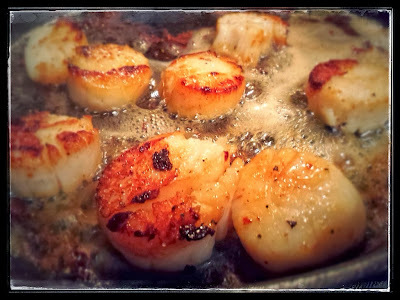 Dry the scallops well between 2 paper towels. Heat a large skillet over medium high heat. When hot, add the butter and garlic - infused olive oil. Once the butter is melted, add the scallops. Allow them to sit about 4 - 6 minutes until seared on the bottom and ready to flip. Cook on both sides until you see a good dark, brown crust. 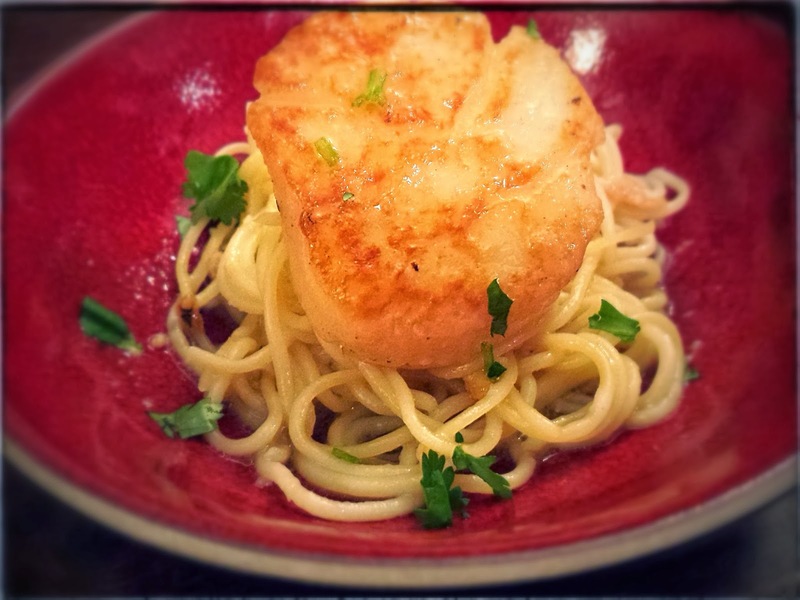 Prepare the scallops with the dressing or over pasta with the pan sauce drizzled on top. A squeeze of lime or lemon is also good here.